I’ve left ExileMMA three times. Once at the end of uni, once when I left to do an internship, and most recently upon moving to London. I’ll be back to visit, of course, but I do think that it’s for good this time. Between these periods of leaving Exile I have trained at several different academies and gyms, and even while I was there I trained with the university team, NGMA, and my home gym, ImpactMMA. I’ve always had several instructors at once. I expect this will sound a little arrogant, but I think this bouncing around is probably the reason that I’ve never been graded. Even so, I think this method has its benefits. The most obvious advantage of flitting between gyms is seeing the range of techniques and strategies that different coaches employ. Some favor judo, some favor wrestling, and in other gyms I’ve barely seen any takedowns at all. It’s interesting. At a gym that doesn’t like leglocks? Pop in somewhere else and see what the hype is about. If you don’t like them, fair enough, but if you do enjoy them it might be something you want to pursue. People tend to teach what they’re good at, which is sensible, but when a student does not fit so well with his instructors style that can be a bit of a problem. More than that, I think seeing different strategies and philosophies provides a more profound lesson: discovering different outlooks and methodologies alters not only what you learn, but how you learn it. Exposure to many people and ideas lets you find what suits you best. People gave described my game as ‘weird’, but I think it’s more than that. I think that exposure to so many styles has given me a game that’s specific to me and closer to the style that’s perfect for myself. I’m not saying its the best game in the world, I’m just saying that it’s mine. I’m not saying you shouldn’t affiliate with one academy, or branch of academies, but visiting elsewhere now and then is healthy. Over reliance on regular training partners means that you get used to their strengths, patterns and techniques. By rolling with a stranger you are thrust into the unknown, and suddenly may find flaws in your technique and holes in your game. You’ll get the same revelations from competition, but it’s my opinion that it’s better to learn these before there’s a medal on the line. I think matsurfing is pragmatic, and good for developing as a competitor. Beyond that though, it’s a social venture. I don’t know what it is about BJJ, but I’ve never been to a gym I’ve not liked. The openness of the BJJ community is one of the things that makes it so attractive, and visiting elsewhere and seeing how welcoming everyone is the most compelling argument for Jiu-Jitsu as a community maker that I’ve found. With so much mixing in events and competitions in BJJ you’re likely to see everyone that you meet at some point, so why not meet as many as you can? Anything that knits the community closer is good in my opinion. 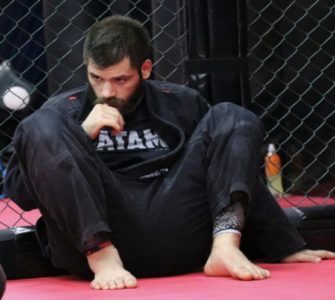 You may even end up training with some people who you compete against, but that’s fine as well – this isn’t MMA, BJJ matches aren’t ‘fights’, and we ought to all be able to get along before and after we grapple. 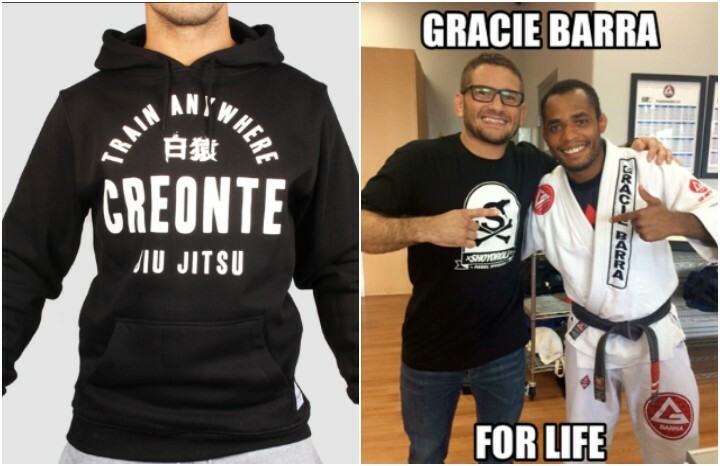 It’s for these reasons that I’m a big fan of organizations like BJJ globetrotters: always allowing people one week of training and welcoming people in is this sort of attitude that will develop Jiu-Jitsu in all aspects. It’s a real shame when instructors and gyms restrict where their students can train. Some people might think that I’m disloyal by training at other academies, call me a ‘creonte’ because I’m seeing more instructors, but I don’t see it like that. I’ll only compete for one gym, but I’ll give thanks and credit to everyone who’s helped me. I may be bringing techniques from my academy to others, I’m also sharing my bringing more knowledge back to my team. I get better, the people I train with get better, and the more that everybody does this BJJ as a whole will get better. I try to visit gyms everywhere I go, when I’m on holiday, when I’m visiting a friend, or just at the weekend if there’s somewhere I can reach. The benefits both to the individual and the community are huge, and I would recommend that everybody does the same. Please subscribe to my WordPress page for all the latest articles thoughtsonfighting.wordpress.com or follow me on Instagram @diserensmma.